We’ve spent the past year testing dozens of different pairs of headphones in search of the best options out there. It’s been a labor of love, of course, and it allows us to recommend the best of the bunch with the utmost confidence that we’re steering our readers in the right direction. 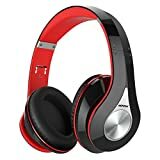 Here, you’ll find the best wireless headphones at each different price point and in each different form factor, including earbuds, over-ear headphones, and true wireless earphones. The Mpow Flame Bluetooth Headphones are the best low-cost in-ear headphones money can buy. 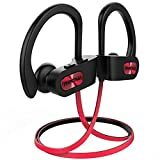 Despite the modest price, these headphones offer good bass response, a comfortable fit, impressive battery life of up to 9 hours per charge, and IPX7 water-resistance that is perfect for even the sweatiest workouts. 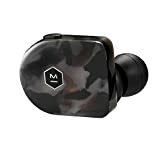 With more than 12,500 5-star reviews on Amazon, the Mpow 059 Bluetooth Headphones offer big-money sound at a fraction of the price of comparable over-ear wireless headphones. Mpow’s 059 headphones feature performance that rivals some of the most popular headphones available from big-name brands, and they also sport a great design that people love. Beats by Dr. Dre headphones have always offered killer sound and an eye-catching design, and they typically also come with a premium price tag. In the case of the BeatsX Wireless Earphones, however, you get best-in-class sound quality and impressive battery life at a surprisingly reasonable price point. Master & Dynamic took its time developing the Master & Dynamic MW07, and we’re glad they did because they are well worth the wait. High-performance 10mm beryllium drivers, perfect tuning, and an exceptional design combine to ensure that these true wireless earbuds have no equal at any price point. The Bowers & Wilkins PX active noise cancelling wireless headphones are the best premium headphones on the market right now. They offer cutting-edge active noise cancellation, more than 30 hours of battery life, crisp sound, deep bass, and clarity that no comparable headphones on the market can match. COWIN E7 Active Noise Cancelling Headphones. These are solid over-ears that provide great noise protection at a good price. Audio-Technica ATH-MSR7NC SonicPro. Another great noise-cancellation headphone that is more expensive, but worth every penny. Bose QuietComfort 35 (Series II). There’s no disputing the king — Bose’s QuietComforts are the best in town, plus they come with Alexa now too! Sony MDR7506 Professional Large Diaphragm Headphone. Sony makes great headphones, especially for monitoring in a studio or to listen to accurate sound anywhere. Bose SoundSport Wireless Headphones. Another Bose choice — these are earbuds that not only provide great audio but are sweat-resistant for those strong workouts.